Howdy Cat Talk readers! 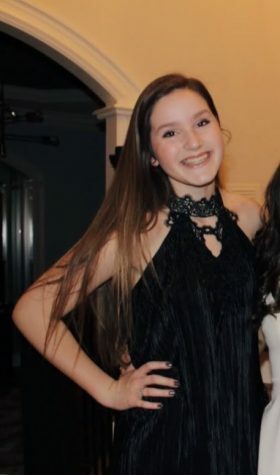 My name is Jenna Griffin, and I am a sophomore this year! I couldn't be more excited to write for the Cat Talk. I'm a motivated student, always encouraging my peers. My goal for the year is to become more involved with Millbrook. Currently, I'm a member of NHSDA and go to YoungLife every week. I have danced for 7 years and continue to practice everyday. I also go to youth group every Sunday at Bayleaf Baptist, and in my free time I'm constantly with friends or spending time with family. This summer, I adopted my dog Sadie, had a blast at Cape Cod for two weeks, and visited Cozumel! I can't wait to meet all of you. Thanks for reading!